I love wine. (Who doesn’t?) I’m fascinated by the process of winemaking, too. So much work goes into that red liquid I sip on the back deck or pour into my steak marinade. I’m no authority on viticulture, and you may not be either, but here’s a little pop quiz about winemaking that I bet you can pass: What is wine made out of? Yes, grapes! And what do grapes grow on? Yup, grapevines. And why on earth am I bringing this up??? Because growing grapes is a great metaphor for life. You have to start with a grapevine if you want to produce wine. But your grapevine may grow and grow and grow (and they do!) and if it doesn’t produce fruit, you’ll never have wine. Growth is good. Whether you’re growing your network, your skill set, or the depth of your understanding, growth is good. But it’s not enough. Is your growth producing anything? If you want to build a successful career, live a happy life, and reap good “fruit,” apply these lessons from winemakers to your life. Growth is good, remember? You have to start there. You need grapevines before you can have grapes. Grapes only grow, though, on one-year-old wood. Not today’s new shoots. Not the trunk. Not the three-year-old vine. Grapes only grow on last year’s shoots. That means if you didn’t grow last year, you won’t produce much this year. Did you grow ten years ago in college? Fantastic. Did you grow when you changed jobs five years ago? Good! Did you grow the first time you negotiated a pay raise for yourself? Yes, of course you did! And that’s GREAT. But don’t stop. Keep growing. Fill the well. Learn new things. Stretch your boundaries and push yourself. Grow. Don’t expect the new, scary thing you’re doing today to yield results immediately. You won’t get a robust wine, or even a juicy cluster of grapes from that new shoot. The first time you try a new skill or practice an old skill in a new context, it may not produce great results. Don’t give up! That’s just the first step. Today’s growth is the foundation for tomorrow’s (or next year’s) results. 1) In winter, grape growers cut back most of the shoots so that almost all that is left is the trunk and main branches. During quiet seasons, refocus your attention on your trunk. Whether it’s a time of day, week, month, or year, regularly tune out all the distractions and noise and focus on your center. If you never have quiet times, MAKE SOME, or your body will force some quiet time on you through sickness. Who are you? What are your values? What do you want to be known for? Do your daily actions line up with your intentions? Take time regularly to attend to your core. 2) Wine makers trim away any new shoots that come directly from the trunk or roots. New shoots off an existing branch can be trained along a trellis and produce grapes the following year. But shoots that come up from the roots won’t produce fruit and have no support. Not all growth is useful! Some of the ways you want to grow might be counterproductive, stealing your time and attention from what will actually produce the results you’re looking for. Trim away the activities (or people) that drain your resources. This can be painful! It’s hard to cut off a perfectly good shoot, just because it’s in the wrong place or growing at the wrong time. But it’s just a distraction, disguised as growth. 3) Growers also thin out the one-year-old wood. Those are the vines they want to keep, the ones that will actually produce grapes. 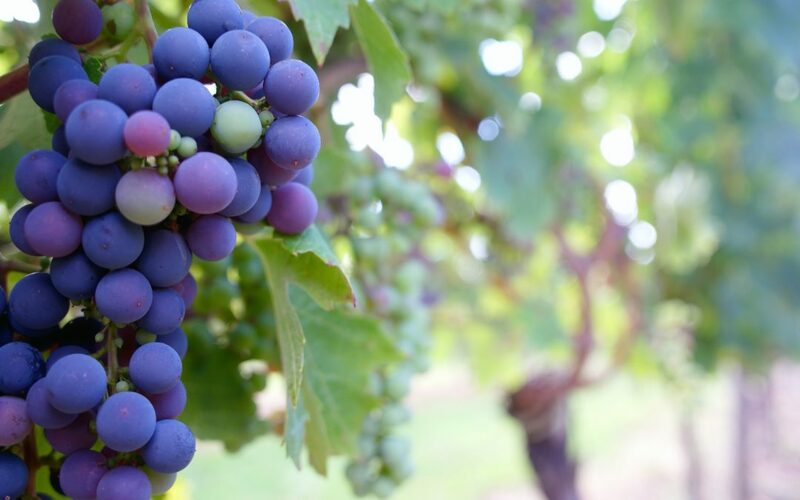 But it takes a lot of energy and nutrients to ripen a cluster of grapes. If there are too many clusters, they’ll stunt each other’s growth. Or never fully ripen. Unripe grapes make crappy wine. Don’t try to do it all. If you have too many goals, you may not get ANY of them done. Choose wisely. Make your energy count. Trim what’s unnecessary and focus your attention and energy on a few things that really matter. It’s called prioritization, folks. There truly is nothing new under the sun. (Or grapevine.) You KNOW this. And yet it’s SO hard to do because we’ve been fed this idea that we can and should be able to do it all. So you try to do it all. And you wonder why your wine is crappy. What does “success” look like to you? Wealth, a title, a happy family, good health, a good reputation? Whatever it is you’re trying to produce, grow and cut back. Grow and cut back. Keep growing and cutting back. And you’ll get there!